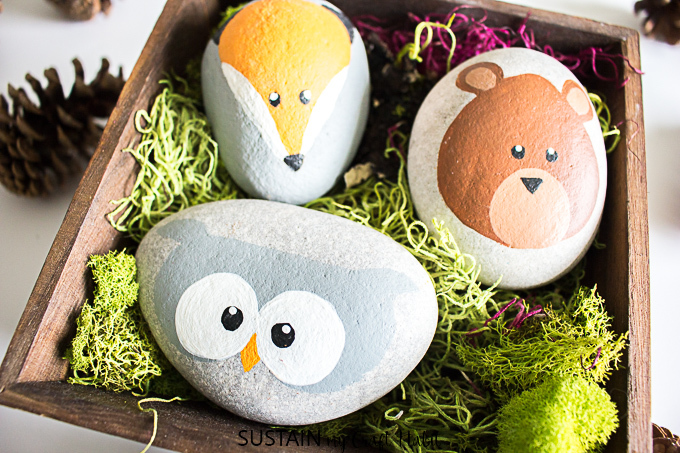 Some of my favorite painted rocks from last year are these adorable and very easy to paint woodland animals. 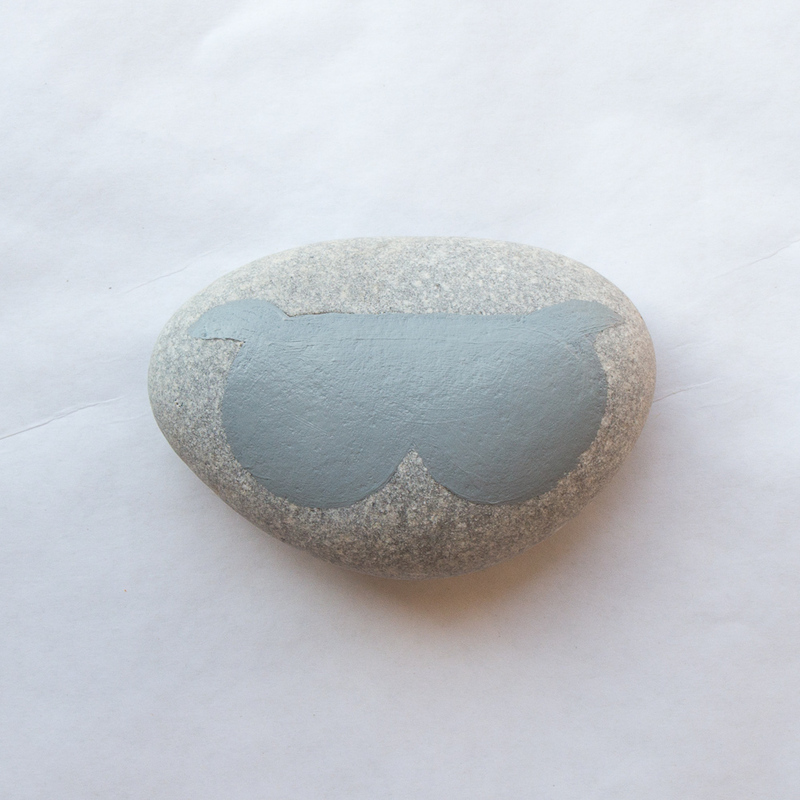 In all honesty, they are the reason I first fell in love with rock painting. I quickly discovered how amazing it was to paint on nature’s own canvas? I was inspired to paint a variety of simple woodland animals that still to this day put a smile on my face whenever I look at them. Aren’t they adorable? 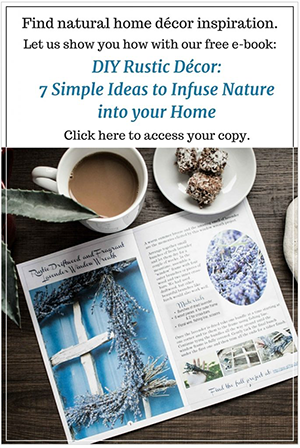 They can be left playfully outdoors in your garden or scatter them throughout your home. 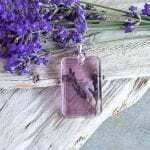 I love placing them in with my potted plants or even using them as paper weights. 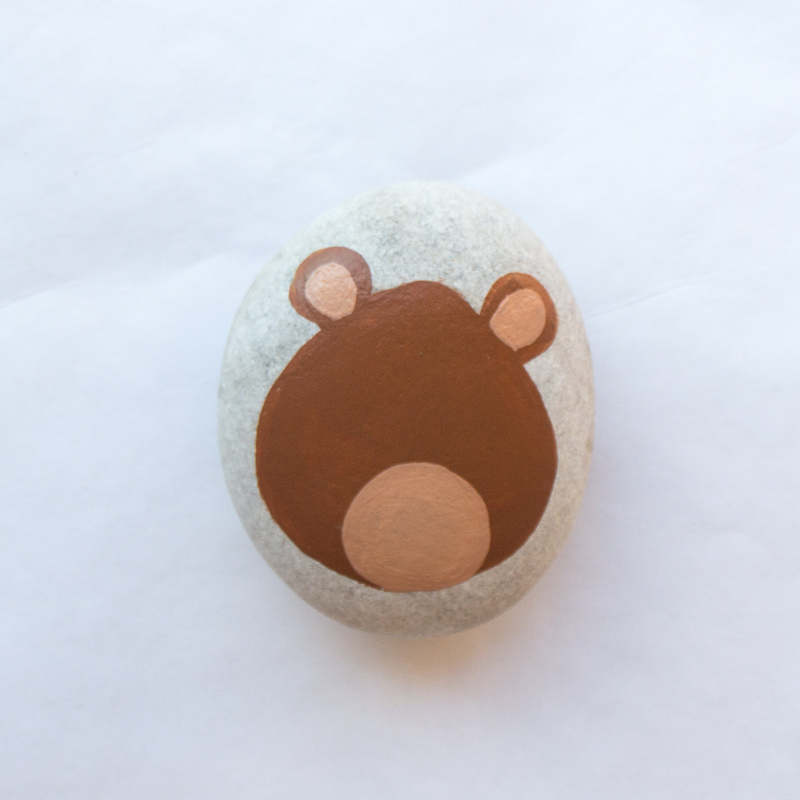 And ever since that initial flame was lit, my sister Jane and I have shared multiple tutorials on rock painting. 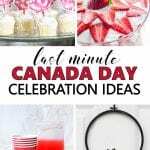 They include step by step instructions for painting shark rocks, water colored rock pumpkins, Winter and Christmas themed rocks, snowflake painted rocks, mandala-inspired painted heart rocks and most recently our gold nuggets and shamrocks. 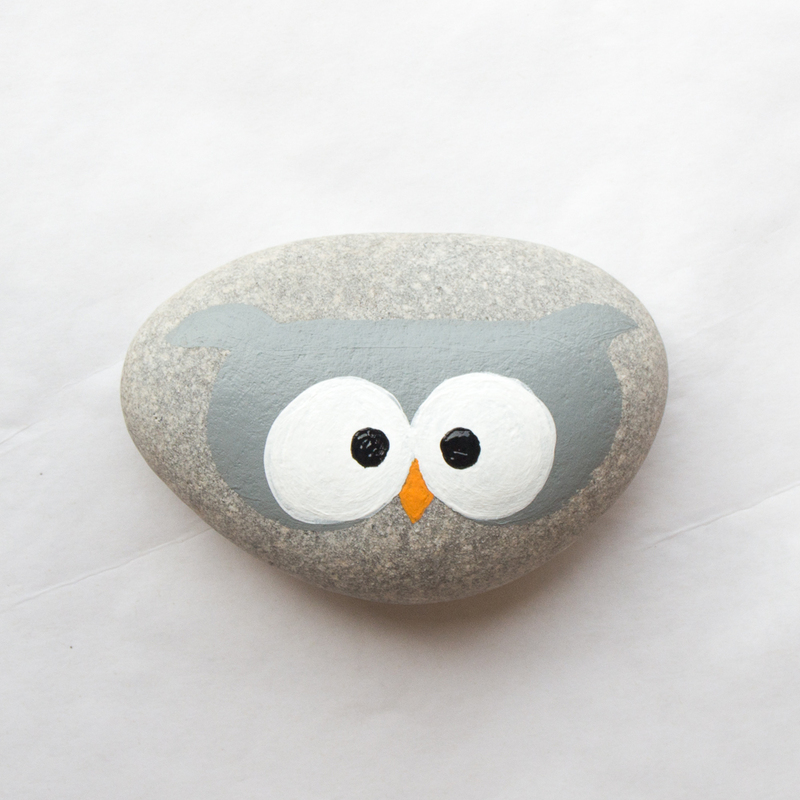 And since we wanted to share our love of rock painting with the world, we created this make your own craft kit for adults, craft loving adults that is! What do you think? 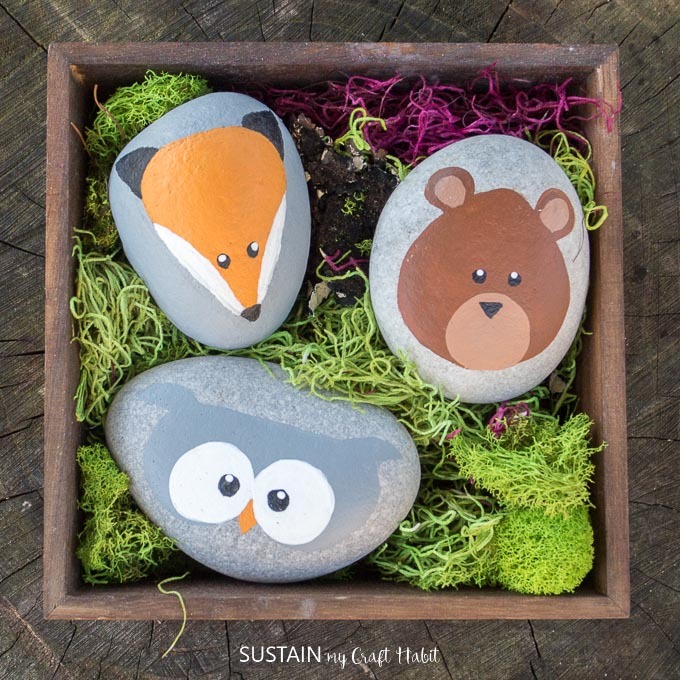 Would you love to receive this craft kit as a gift? 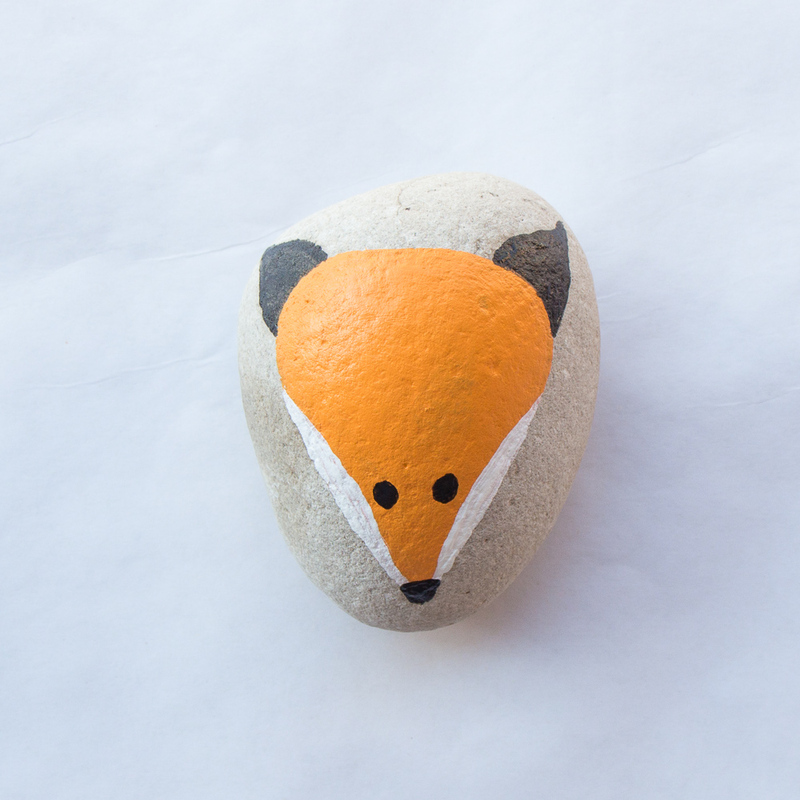 To start, paint a fox face in the middle of the rock using multi surface satin paint in orange sherbet. 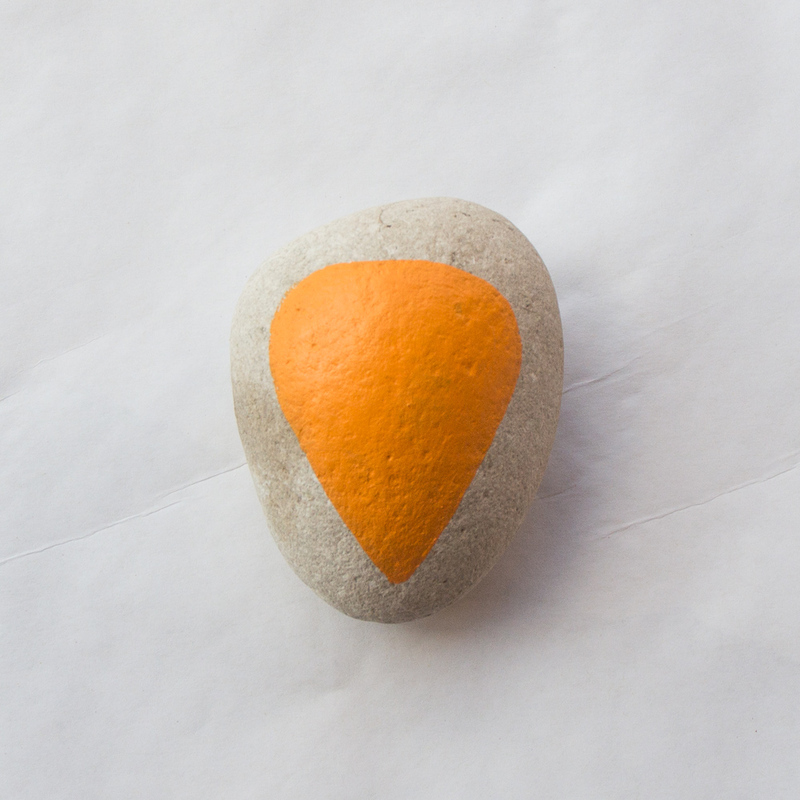 Using a fine tip brush, paint the sides of the fox face starting part way from the top to the bottom tip of the orange using multi surface satin paint in cotton ball. And lastly, with a fine tip brush, paint the ears, eyes and nose using multi surface satin paint in black tie. 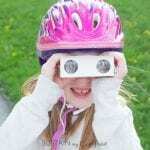 Add one small dot in cotton ball paint to each black eye (this step not shown here). 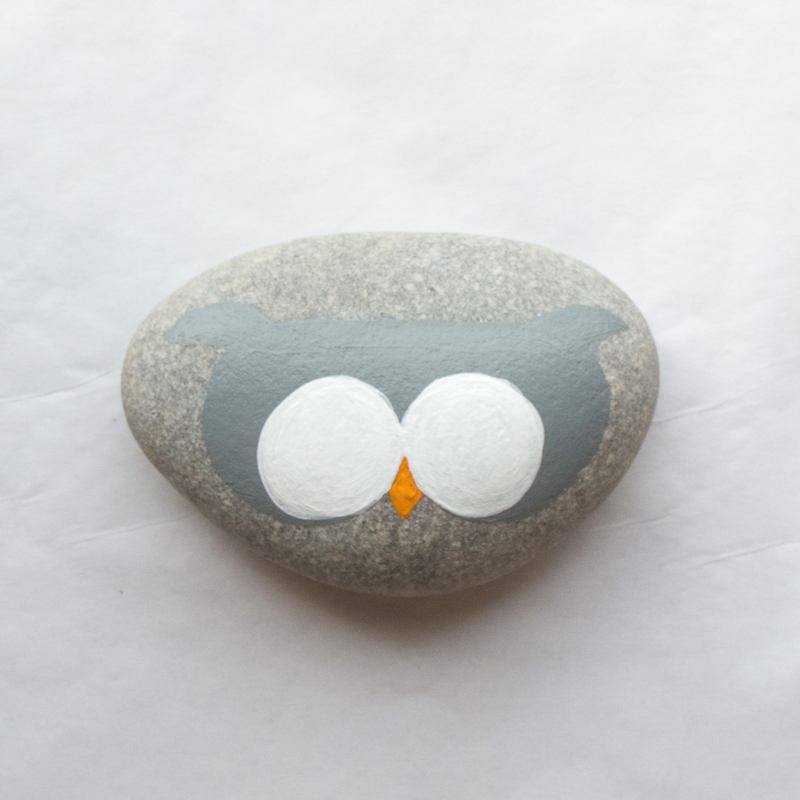 To begin, paint an owl face in the middle of the rock using multi surface satin paint in dolphin. Paint two larger sized circles for the owl’s eyes using multi surface satin paint in cotton ball. 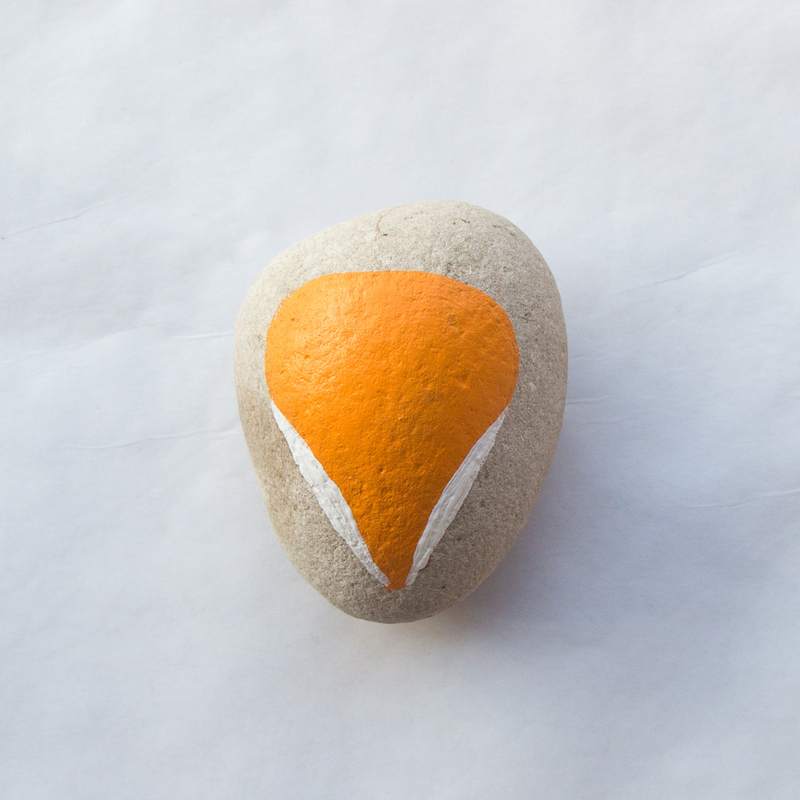 Using a fine tip brush, paint the beak using multi surface satin paint in orange sherbet. Next, paint the small circle shaped pupils using multi surface satin paint in black tie. Finally, add a small dot in the centre of each eye using Cotton Ball with the opposite end of your paint brush (this step not shown here). Begin by painting a bear face in the middle of the rock using multi surface satin paint in cocoa bean. 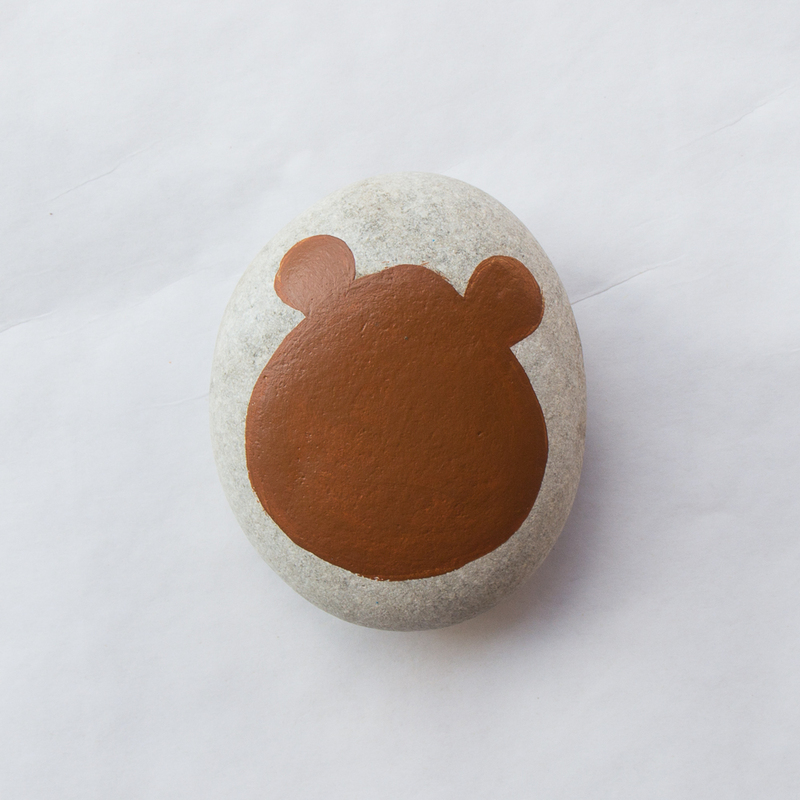 Mix cocoa bean with cotton ball paint colors together for the snout and inner ears. Using a fine tip paint brush, paint the snout and inner ear shapes as shown. Next, paint the eyes and nose using multi surface satin paint in black tie with a fine tip paint brush. And lastly, add a small dot in the centre of each eye using Cotton Ball with the opposite end of your paint brush (this final step not shown here). 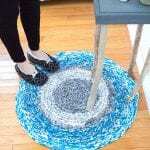 For additional tips on painting with Decoart Americana Multi Surface Acrylic paint, head over to the Decoart website. 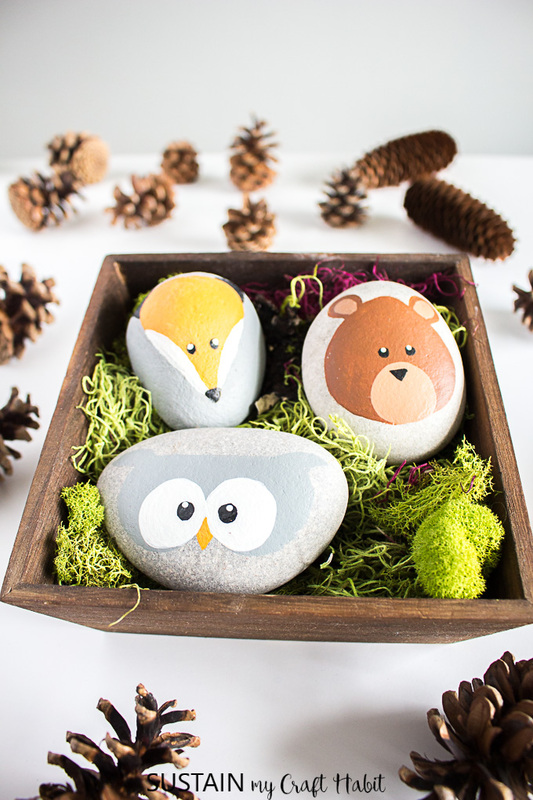 Which other woodland animals would you like to paint?